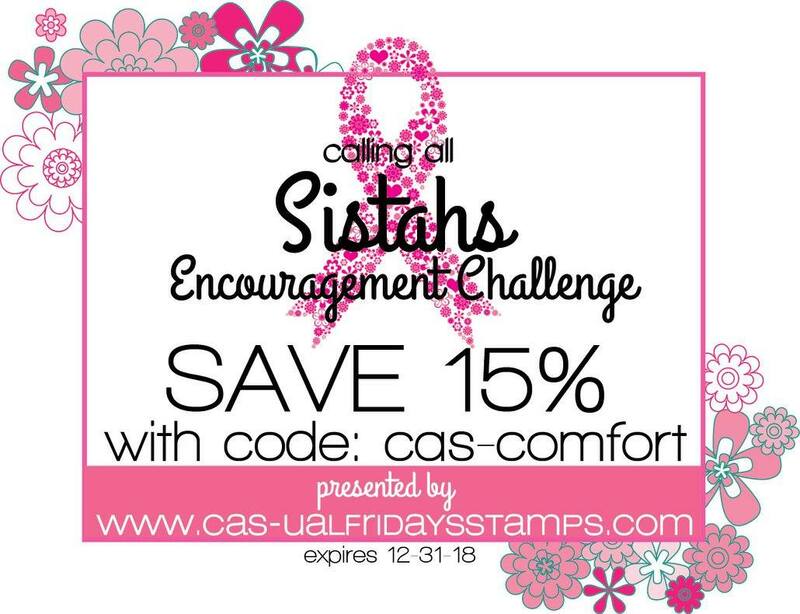 It is challenge time at Calling All Sistahs. 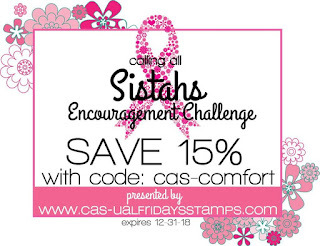 The challenges at Calling All Sistahs are about encouragement. 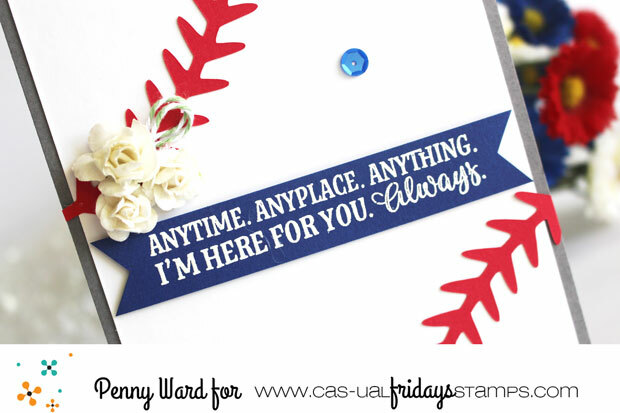 Make someone feel good for just a few minutes when they open your hand made card. On my card I used a stamp from the Supercalafragilistic set. So many great sentiments to choose from. 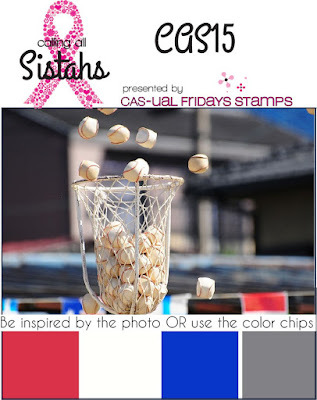 Please enjoy the discount code above for all your purchases from Cas-ual Friday's. Make a card today for someone under the weather, needs a pick me up, has cancer, a cold. Everyone could use some kind of encouragement card. Then enter into the Calling All Sistahs challenge this month for a chance to win a $25 gift certificate. 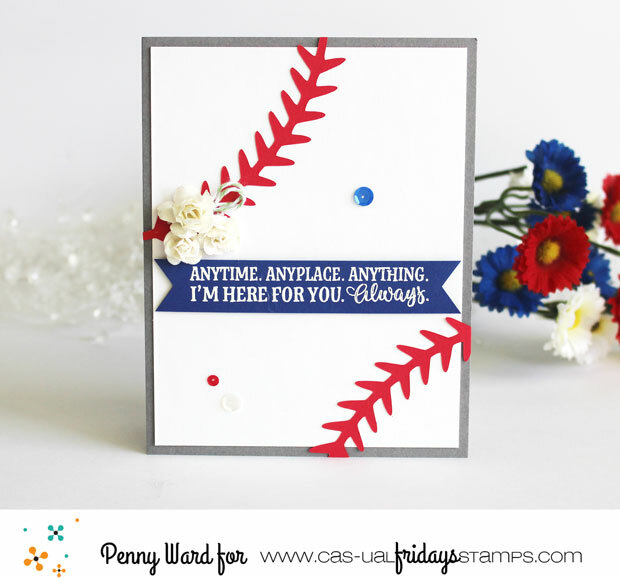 Perfect card for the red, white and blue challenge! What is more American then baseball!! 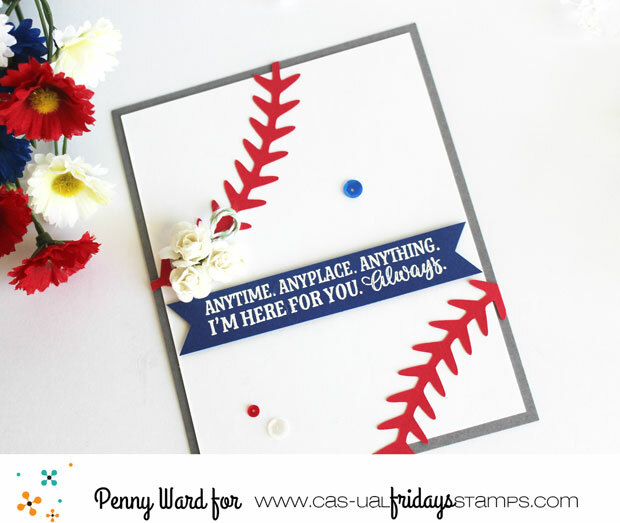 Love your baseball card, Penny, and the sweet addition of the little flowers!! !